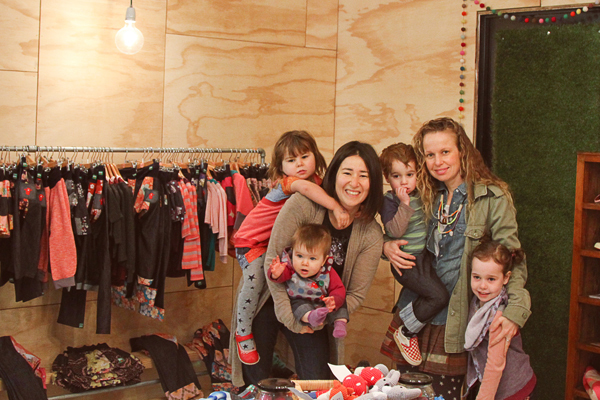 FK chats to Miyo of super playful, Torquay based Children’s shop Oishi-m! Tell us about your store Oishi-m and what things we can expect to discover. Our Oishi-m store is our flagship store with our entire Oishi-m collection of limited edition garments all available for touching and feeling in the one place. 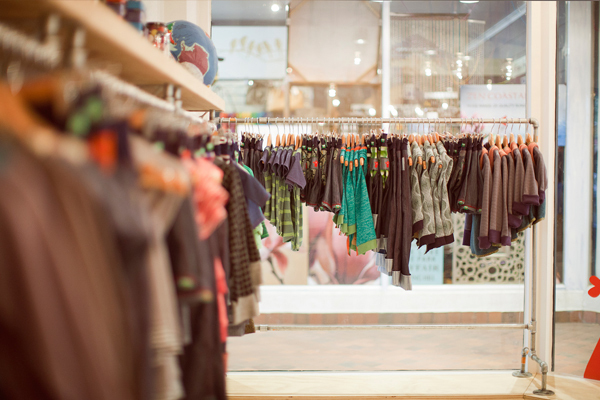 We’ve mixed and matched it with accessories and footwear that our own children love and beautiful labels we have seen over the years that we wished were stocked in our home town of Torquay. As our own garments have created a cult following the other products for the shop had to have the same viral love associated with them. In designing the space we had in mind an uber cool streetwear inspired decor with simple lines and space to let products breathe. Being in a dark arcade we started with the lighting and worked from there. What was the inspiration behind opening Oishi-m? Is it something you always wanted to do? 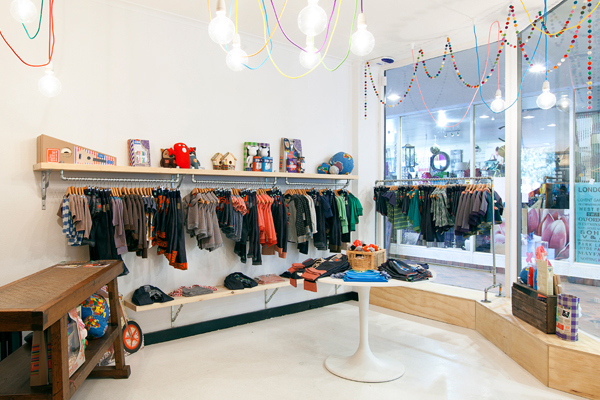 Until a few months ago, we didn’t even have a retail store on our radar of things to do. We’d grown out of our old office we had shared with Bellroy (a very cool wallet brand who were so accommodating even though our storage kept creeping into their areas) we were looking for a new office space, a position in the retail precinct of Torquay was vacant. 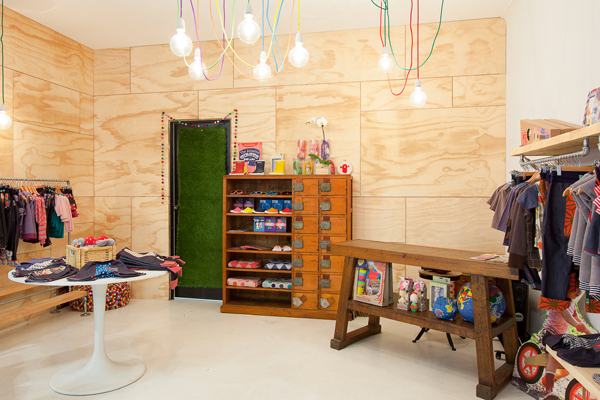 From there our shop concept grew a little life of it’s own and became a shopping list of all the cute and stylish things we’ve seen over the years of visiting our amazing stockists of Oishi-m (from all over Australia and the world), cool things we had seen at tradeshows/markets and items that we wished we were sold closer to home. 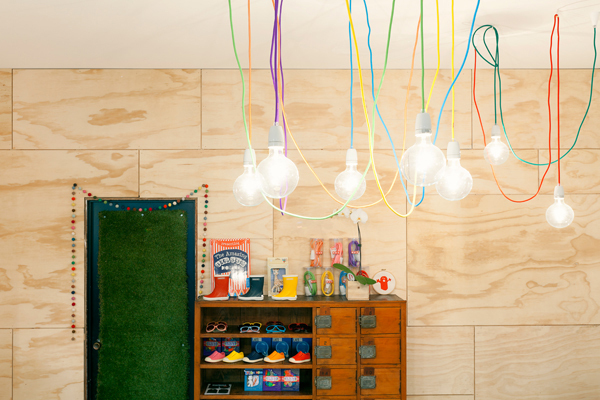 We always wanted to keep our store simple, fresh and quirky. Somewhere that adults can wish they were little again. What other labels & product do you stock and what are you always searching for? We have some beautiful labels; playful Native shoes for frolicking on the beach; the long wearing Bergstein Gumboots for puddle splashing; Seedling crafty bits and bobs; beautifully handcrafted Herbert and Friends (whom we originally bought and found at Finders Keepers); La De Dah crochetted handrattles; beautifully soft Uimi blankets, to name a few labels. Functional products that are well designed and made with lots of love. Our Antique Japanese bath-house foot locker. It was such an awesome find that ties into the Oishi-m history of a Japanese inspired name and fabrications as well as the perfect place to showcase our sunnies, footwear and blankets. What is the design & art scene like in Torquay? The home of mega brands, Rip Curl and Quiksilver mixed with surf culture have meant that we have a young vibrant community of creatives. 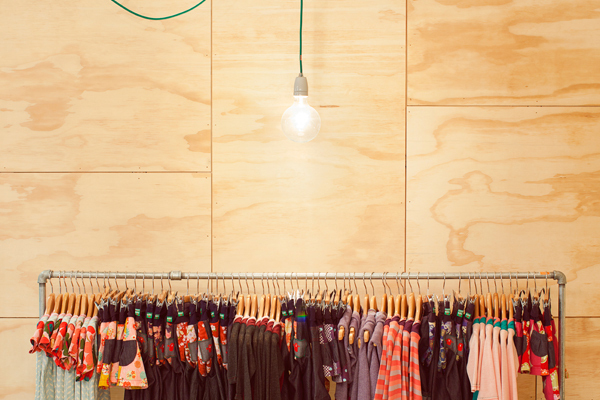 There are many emerging designers, artists and labels which have spawned out of our community. 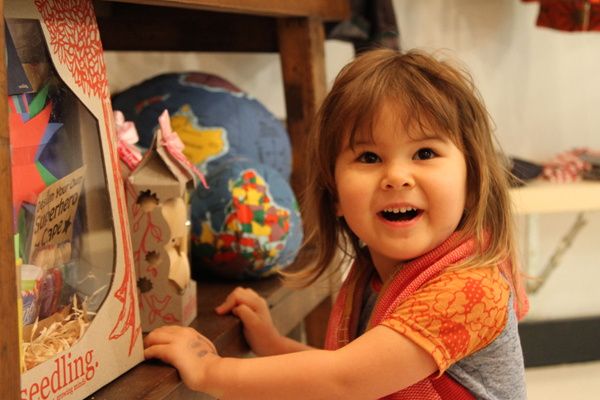 The likes of Tigerfish and Easter’s Wax Off Exhibition are great examples of the local art scene. The proximity to Melbourne has also enabled Torquay to have the escapism from the the city yet also having it near enough that in 85 minutes you can be in the CBD or on a flight to somewhere exotic. The buying has definitely been fun, finding quirky labels that have a great commercial range to choose from. Whilst it’s lovely handpicking items that fit into the store and philosophy there is a whole lot more work associated with having a shop. Kind of like a baby monster, it needs constant attention, feeding, care and occasional tidying up. We need to remember that we’re not only a retailer but a wholesale business and brand at heart so looking after our own Oishi-m retailers and customers and building our Oishi-m brand needs to remain priority in juggling the many facets of our business. What are your hopes for Oishi-m in the future? 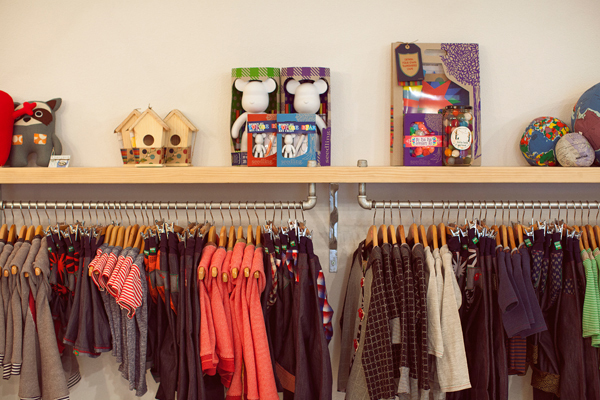 We make delightful limited edition garments for skinny mini’s and chubba bubba’s. 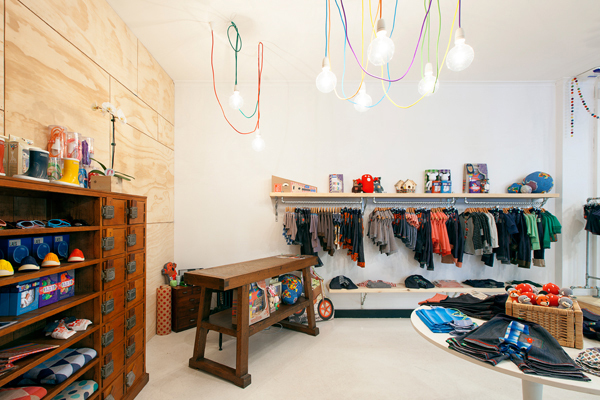 Designed in Torquay and made in Melbourne we’re a Victorian affair. 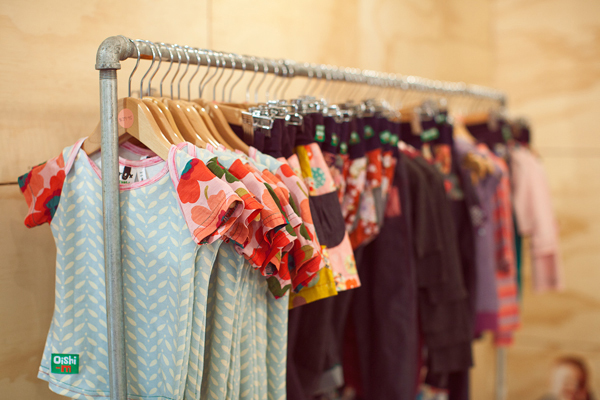 Our garments infuse quirky Japanese fabrics and beautiful fabrics with denim and cottons. But where we really stand out is that the fit and fabrication is incredibly comfortable and adaptable for growth. Our intention to is the rebuild the children’s wear market one tiny pair of jeans at a time and be the first choice for comfort and style selected by the little ones themselves. We’re growing so quickly that we haven’t had much time to take a step back and reassess where things are going. All we know is that we’re having fun and going somewhere exciting. All above images photographed by David Green.